This week (January 30-February 5) in literary history – Frank Nelson Doubleday died (January 30, 1934); Zane Grey was born (January 31, 1872); A.A. Milne died (January 31, 1956); Lord Byron’s The Corsair was published (February 1, 1814); Mary Shelley died (February 1, 1851); Alexandre Dumas married Ida Ferrier (February 1, 1840); James Joyce was born (February 2, 1882); Samuel Clemens began using the pen name Mark Twain (February 2, 1863); James Joyce’s Ulysses was published in Paris (February 2, 1922); John Keats becomes aware that he has tuberculosis (February 3, 1820); James Fenimore Cooper’s The Last of the Mohicans was published (February 4, 1826); Norton Simon was born (February 5, 1907); Thomas Carlyle died (February 5, 1881). On January 31, 1872, prolific western novelist Zane Grey and author of Riders of the Purple Sage, was born in Zanesville, Ohio. The son of a successful dentist, Grey enjoyed a happy and solid upper-middle-class childhood, marred only by occasional fistfights with boys who teased him about his unusual first name, Pearl. (Grey later replaced it with his mother&apos;s maiden name, Zane.) A talented baseball player as teen, Grey caught the eye of a scout for the University of Pennsylvania baseball team, who convinced him to study there. In 1886, he graduated with a degree in dentistry and moved to New York to begin his practice. Grey&apos;s interest in dentistry was half-hearted at best, and he did not relish the idea of replicating his father&apos;s safe but unexciting career path. Searching for an alternative, Grey decided to try his hand at writing; his first attempt was an uninspiring historical novel about a family ancestor. At that point, Grey might well have been doomed to a life of dentistry, had he not met Colonel C. J. "Buffalo" Jones in 1908, who convinced Grey to write Jones&apos; biography. More importantly, Jones took him out West to gather material for the book, and Grey became deeply fascinated with the people and landscape of the region. Grey&apos;s biography of Jones debuted in 1908 as The Last of the Plainsmen to little attention, but he was inspired to concentrate his efforts on writing historical romances of the West. In 1912, he published the novel that earned him lasting fame, Riders of the Purple Sage. Like the equally popular Owen Wister novel, The Virginian (1902), the basic theme of Riders revolves around the transformation of a weak and effeminate easterner into a man of character and strength through his exposure to the culture and land of the American West. Grey&apos;s protagonist, the Ohio-born Bern Venters, spends several weeks being tested by the rugged canyon country of southern Utah before finding his way back to civilization. Venters, Grey writes, "had gone away a boy-he had returned a man." Though Riders of the Purple Sage was Grey&apos;s most popular novel, he wrote 78 other books during his productive career, most of them Westerns. He died on October 23, 1939 at the age of 67, from heart failure at his estate in Altadena, California. After his death, Grey&apos;s works continued to be extraordinarily popular for decades to come. 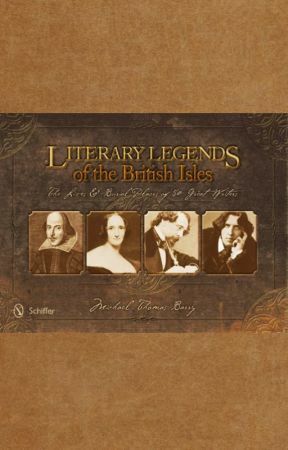 Michael Thomas Barry is the author of six nonfiction books that include the award winning Literary Greats of the British Isles and the recently published America’s Literary Legends. Visit Michael’s website www.michaelthomasbarry.com for more information. 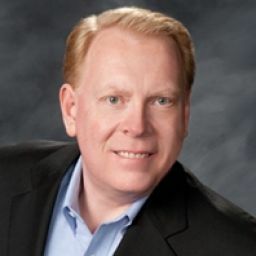 His books can be purchased from Schiffer Books, Powell’s Books, Amazon, and other fine book sellers.